Residential real estate firms in the Wilmington area have been expanding their footprints as the health of the market remains steady. 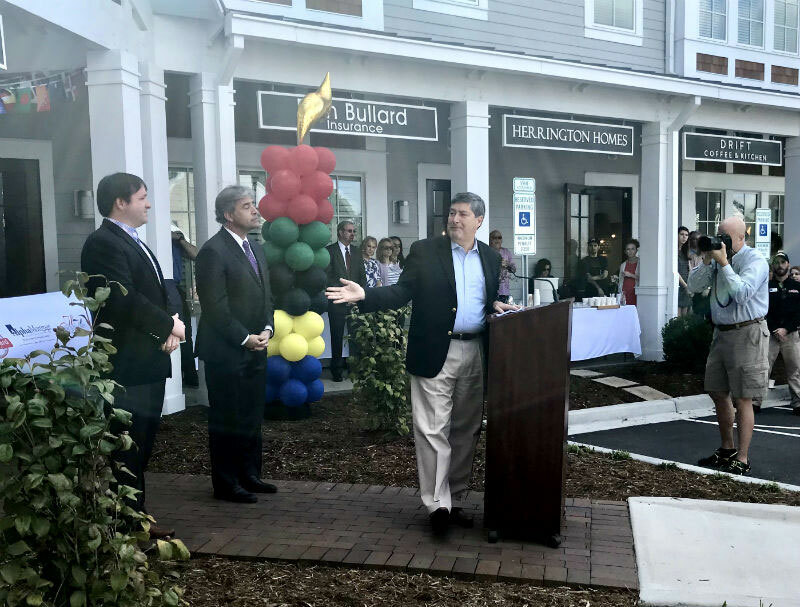 Among some of the recent examples is Wilmington-based Intracoastal Realty, which celebrated the opening of its office at The Pointe at Barclay on Thursday evening. The new office is next to Wilmington’s latest Starbucks location, in one of the newest retail buildings at The Pointe, a movie theater-anchored shopping and entertainment complex at Independence Boulevard and South 17th Street. “We’re pleased that we’re next to Starbucks, probably the most recognized brand in the world . . . so we’re thrilled about that,” Jim Wallace said. Wilmington Mayor Bill Saffo, who attended the Intracoastal Realty celebration Thursday evening and the Thursday morning ribbon-cutting ceremonies for Dungannon Village, the Autumn Hall retail and office building where Coldwell Banker Sea Coast Advantage is the anchor tenant, said that the area around The Pointe is “the frontier in Wilmington” in terms of growth, whereas other parts of town are seeing more infill development, said Trey Wallace, president of Intracoastal Realty. “We agree with that.This whole area’s going to see tremendous growth in the next few years and even after that and we’re going to be right smack dab in the middle of it to service our agents and their clients,” Trey Wallace said. Before the ceremonial ribbon-cutting for Dungannon Village, Saffo hosted a medal ceremony with an Olympic theme, giving medals to representatives of all the building’s tenants. In addition to Coldwell Banker Sea Coast Advantage, tenants include Sea Coast Rentals, Alpha Mortgage, Don Bullard Insurance, Colby & Mincey Attorneys at Law, Herrington Homes and Drift Coffee. Coldwell Banker Sea Coast Advantage occupies at least 18,000 square feet of the 24,000-square-foot Dungannon Village off Eastwood Road. 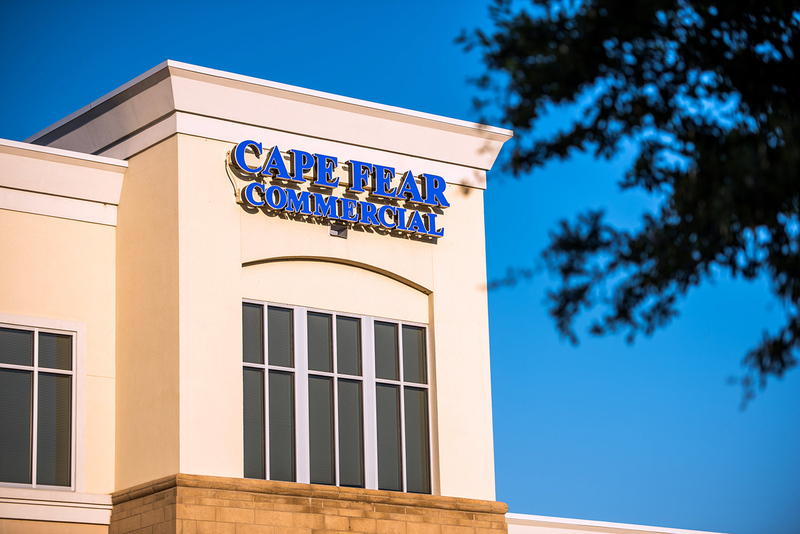 Wilmington-based firm Cape Fear Commercial has been representing the owner in leases at the building. Grayson Powell, managing partner of Coldwell Banker Commercial SunCoast, represented Sea Coast Advantage and its president Tim Milam, and Powell’s company also represented two of the other tenants. The building was designed by Becker Morgan Group and built by Thomas Construction Group. While Coldwell Banker Sea Coast moved into Dungannon Village last year, the firm already has plans to expand again. Milam said a Porters Neck office for his company is likely to open in April, in a building that is currently occupied by H&H Homes at 8209 Market St.
Additionally, the company’s real estate school has been moved to Oleander Business Park. “We keep growing, and that’s a good thing,” Milam said Thursday. Another example of a growing residential real estate firm is Keller Williams Realty, which outgrew its space at 1838 Sir Tyler Drive and has recently moved into Suite 101 at 1001 Sir Tyler Drive. The company will set a date soon for its celebration of the new space, said Ladd Gasparovic, operating principal of the Keller Williams office in Wilmington.